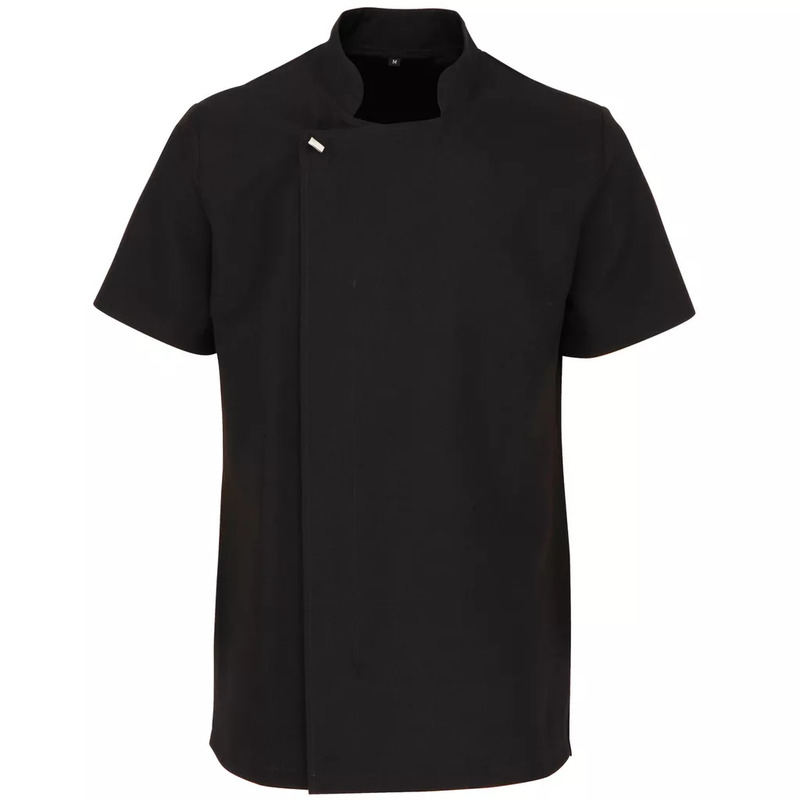 A tunic designed with the male form in mind, the Epsom features a brushed silver button on upper chest that fastens the tunic together in a wrap over style. The main body of the tunic fastens up with a concealed zip which makes for a very smart and appropriate tunic for men. Size: S, M, L, XL, 2XL (37, 40, 42, 46, 49).